Yanchuan Xing received a three-year, $2.2 million grant from the Department of Energy to develop manufacturing technology that will help produce materials necessary for lithium ion batteries used in electric vehicles. COLUMBIA, Mo. – The U.S. Department of Energy (DOE) Office of Energy Efficiency and Renewable Energy recently awarded a grant to a University of Missouri engineering researcher to develop manufacturing technology that will help produce materials necessary for lithium ion batteries used in electric vehicles. The DOE’s $2.2 million award will allow Yangchuan Xing, a professor of chemical engineering in the MU College of Engineering, to develop his proposed manufacturing technology over the course of the next three years. The projects selected by the DOE were divided into two categories, with Xing’s proposal one of 16 chosen in the “Critical Technologies to meet the Electric Vehicles (EV) Everywhere Challenge.” The challenge’s goal is to make electric vehicles as inexpensive to purchase and maintain as gasoline-powered vehicles by 2022. The technology Xing and his research team are developing lowers the cost of materials to produce lithium ion batteries for electric vehicles. It uses a flame to burn chemical compounds called precursors when sprayed through a specially created nozzle. The result is a powder of metal oxides that are eventually used in lithium ion batteries. Xing currently is working to patent the new chemical precursors and nozzle technology. The compounds also use green biomass materials making them environmentally friendly. 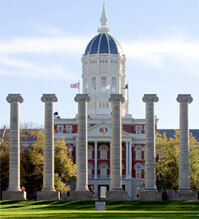 Xing’s work showcases the role the University of Missouri plays in economic development for the state. The MU Office of Economic Development works to build strategic collaborations to grow research and service contracts; enhance internships, experiential learning opportunities and job placements; explore collaborations for new funding opportunities; and accelerate entrepreneurship and commercialization to advance the growth of local, state and regional economies.